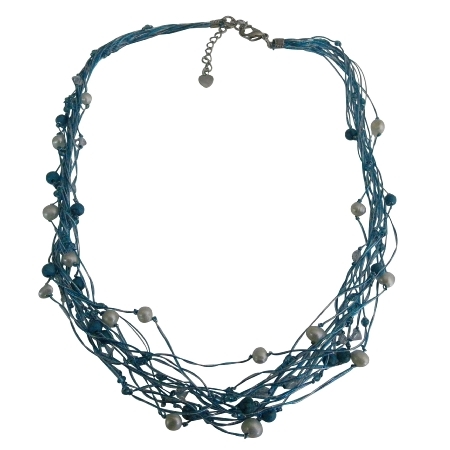 Magnificent Multi Strand Necklace with freshwater pearls turquoise coral beads with Swarovski Aquamarine Crystals adorned in Blue Milti-Silk thread necklace. A cluster of Soothing Silk Multistrand Necklace would look pretty with many of dresses. Celebrate your individuality. Variations in the color & pattern of each fancy multicolored beads add the beauty to the necklace.